Our friend Ursula Mahlendorf passed away on October 31, 2018. Mentor, scholar, professor, sculptor, psychoanalyst, author, philanthropist, refugee … to say she was many things to many people is almost a truism. Born on the day of the New York Stock Exchange crash of 1929, her life spanned immense historical changes, from the twilight of the Weimar Republic through the advent of our post-truth era. Ursula was born in a part of Germany that is no longer Germany, in lower Silesia, which is now part of Poland. Her extended family of merchants and farmers, hurt by Weimar hyperinflation in the 1920s, was further impoverished by the worldwide economic downturn. Her father died when she was 5 years old. When she was 10, like all non-Jewish children in her town, she was inducted into the Hitler Youth. As the Russians closed in near the end of the war, Ursula, then 15, worked as a nurse at a military hospital while her brother, one year older, was drafted into the army. When the war ended, her family were refugees, ending up in a camp near Bremen. Ursula quickly made up for the disruption of her education, graduated high school, and was admitted to the University of Tubingen on a refugee scholarship. To support herself, she worked as a weaver in a jute factory and as a waitress. After three semesters, she applied for a Fulbright grant to study in the United States and was one of two students, out of 300 applicants, to receive one. She studied for a year at Brown. Returning to Germany, she completed her undergraduate study in comparative literature and philosophy at Bonn University, but Ursula found herself deeply disillusioned with the conservative postwar political climate and the inadequacy of “denazification.” She returned to Brown, earned her PhD, and became an American. Ursula’s acclaimed memoir, The Shame of Survival: Working Through a Nazi Childhood (Pennsylvania State University Press, 2010), provides much more detail about her early life. Ursula thrived in American academia. Beginning as an assistant professor at Brown, she joined the fledgling University of California, Santa Barbara, in 1960 in the Department of Germanic, Oriental, and Slavic Studies. 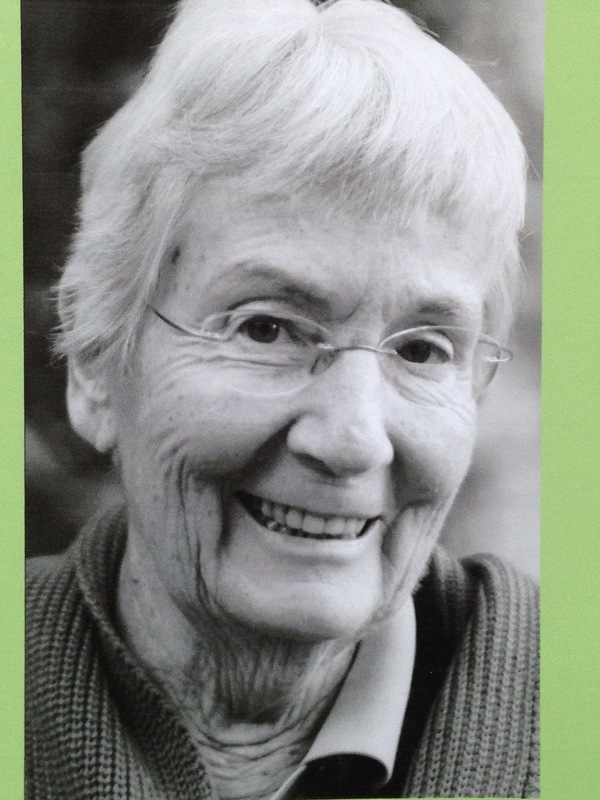 In 1965, she became UCSB’s first tenured woman professor. She was instrumental in the formation of the women’s studies program and took a psychoanalytic approach to research, participating for several years in New Directions, a psychoanalytic writing workshop. She served as department chair and associate dean of humanities and was a discerning mentor to generations of graduate students, including many who became professors themselves. She was a gifted lecturer with a wonderful voice. After the publication of her memoir and retirement from active teaching, Ursula spent a lot of time speaking at universities and other venues about her experience growing up in the Nazi era and her insights on the psychology of political indoctrination, sometimes in dialogue with Holocaust survivors. In 2009, she undertook a project with George Wittenstein, a member of the White Rose resistance, to record his recollections of fighting the Nazis from inside Germany. To those of us who knew her outside the academic world, Dr. Mahlendorf was someone we heard a lot about ​— ​she shared the trials and triumphs of her professional life. However, other aspects of her personality were more present to us. Ursula was at various times a friend, confidante, housemate, and generous host of events in her beautiful house on the Riviera (a miracle survivor of the Sycamore Fire). She had a passion for art, traveling to Carrara, Italy, to learn to carve marble and becoming a talented sculptor. She found symphonic music unpleasant due to its association with music played over the radio during the Nazi era, but she loved chamber music and opera all her life. Although she swore after fleeing the Russians to never intentionally sleep on the ground, she changed her mind and enjoyed camping and rafting trips. She was a bold world traveler. Cruel childhood experience left Ursula, in later life, with feelings of grief and anger. One creative and effective response to this was to volunteer at a preschool, the Lou Grant Parent-Child Workshop. For at least five years, she went, sometimes daily, to assist in simple tasks, helping young children to learn and interact with the world: coloring, playing in the sandbox, going on walks. To those of us who knew her, there was no doubting the positive effect this had. She became a more comfortable and joyful person. It was a subtle but life-changing involvement. Her delight in and generosity toward our children was a joy to her friends who are also parents. Although she had intentionally escaped Germany, Ursula eventually arrived at a peaceful attitude toward her native country. Many of her extended family came to Santa Barbara, some living here for extended periods. In turn, many of us got to know and love her brother Hajo, her nieces and nephew Annette, Klaudia, and Daniel, and their children. There has been a lively back and forth of Ursula’s connections over the years with many trips between Santa Barbara and Bad Kreuznach, Armsheim, Hof, Krefeld, and Berlin. UCSB’s Department of Germanic and Slavic Studies commemorates the life and work of Ursula Mahlendorf on Friday, April 12. Remembrances take place at UCSB’s Mosher Alumni House Library 10:30-11:45 a.m., and a musical recital at Geiringer Hall at 2 p.m.